Gentle and pure, lambs make a great addition to any outdoor Nativity. According to tradition, a pair of lambs first met Mary and Joseph when they entered the stable to birth Baby Jesus. 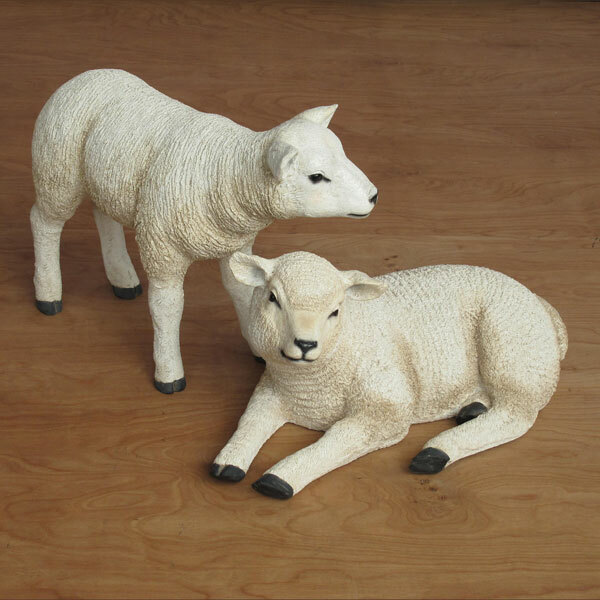 The wonderful Resting and Standing Lambs set represents the faithful animals with accuracy and beauty. The large animals are designed to be a part of the 54-inch scale Christmas Night Nativity Collection. 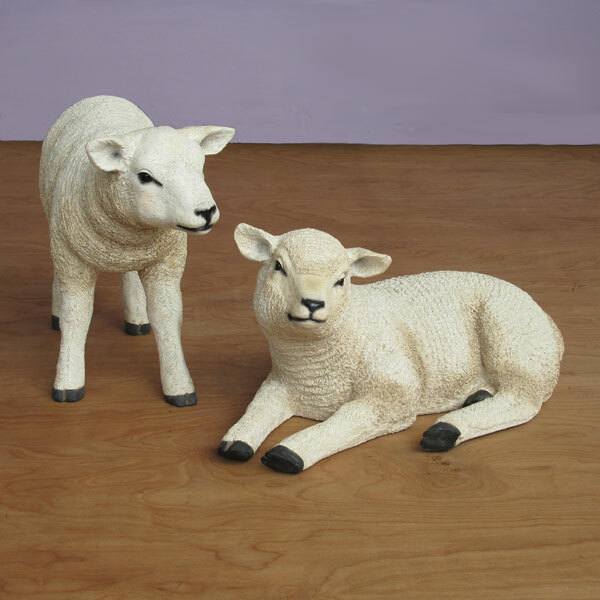 The set consists of 2 lambs, one in the standing position and one in the resting position. 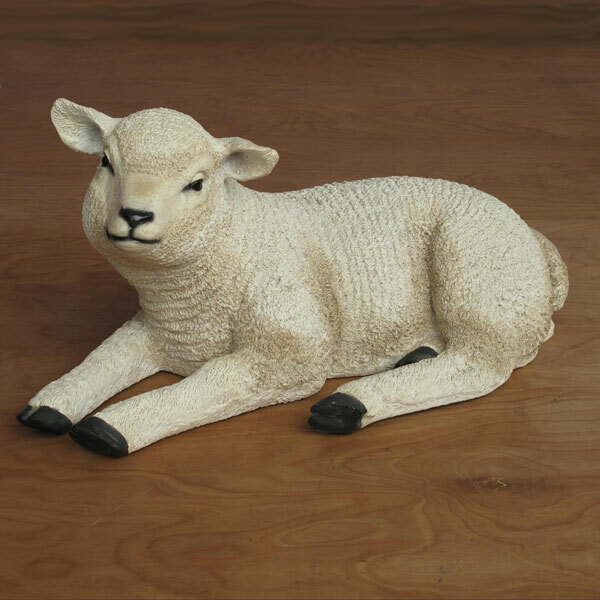 The lambs may be also be purchased separately or as part of a 5-piece set (Item 31124). The lambs are designed by Heinimex and are constructed from fiberglass and are hand painted with beautiful details, including a textured body that has the look of real wool. 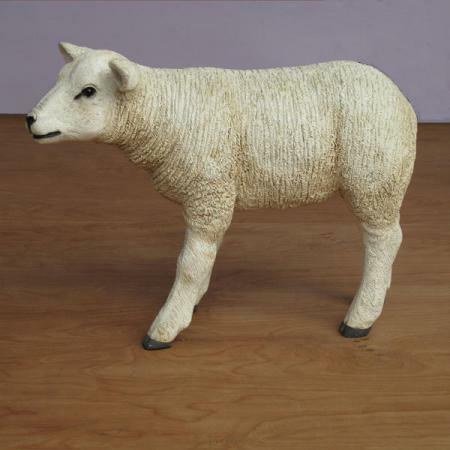 The lambs have durable clear finishes to protect their paint and look great for years to come. Added to our Nativity scene. Loved them! Would love the Shepherd if it ever goes on sale!